Small Wonder really. But woooohooooo I feel amongst the most joyous in the world. Now I just want to say, hey, The Oscars are next. Time to start praying that He wins that too. PostScript: Don't you think its time Rahman sir won the Bharat Ratna too? Thats a great news! Way to go for our ARR. Congrats ARR. GGs are the precursors for Oscars. I am very confident it will be an Oscar too!! Chinmayi, I personally think it is not a small wonder! It is a great achievement and I dont think any other Indian will be able to repeat it in the next few decades. And traditionally the Golden Globe is a prelude to the Oscars and I am 101% sure he is gonna bring that home too. I found Anil Kapoor a little too cranky for a seasoned actor, maybe 'Hollywood' got to him but AR was the ever smiling calm guy,which seriously gives me the doubts that AR cannot be a party animal. I dont know if the GG event will be telecast in India, if not i think you should watch it at www.hulu.com -it is NBC's official online partner so it is legal. Now I just want to say,hey,The oscars are next.Time to start praying that U wins that too. You really have no Idea how crazily excited I am!!! what an achievement!! first indian... feels even more good to know that my roots are in the same city as his!!! humbling to be hs contemporary!!! ARR rocks!!! way to go sire!!! Really! Happy to hear this ya! Being a Big fan of ARR...very much proud about him ya! Fantastic! Great! Beautiful.....Wonderful...Love him! There is one more thing to be celebrated by us...Yes...Yes...Oscars! On the way oredi ya! Pls convey my belated Birthday wishes to ARR n his beloved Son(Jr.ARR) Indeed Great people ya! Best wishes to Guruji and u! Congrats to ARR Sir. . .
Way to go A.R.Rahman! Was so excited and started jumping in joy when his name was announced at the awards ceremony! :) PROUD OF HIM! Great person, a living legend, yet so humble! His acceptance speech was very cute! God bless him!! Great news for all Indians.. ARR made us proud again.. When I heard the news I felt like crying. I spend about 2 hrs in youtube watching his old interviews. Am speechless and seeing him with an awe. Man he is my god. Am for sure he is going to grab an Academy for sure this year for the same song (Jai Ho). MERE MAHARAJ REHMAN JI KI "JAI HO" !! I was in Cloud 9 ever since I heard this news of my genius winning laurels. He will be in history, in my kids and grandchildren history books, reading him as the greatest achiever of this century !! Just like how we read about the Mahatma. I would even die to get a chance to meet my hero of my life !! My heart swells with pride as do a billion other....I am of the opinion that his talent is beyond what a GG or Oscar might confer. Considering several past choices for Oscars (not all bad, I know, still...it's lately become more of a popular vote than critical acclaim), one has to ponder why the craze? But I realize it is a chance for Hollywood and the rest of the world to wake up to such undeniable talent. High time Hollywood snapped out of all the banality (not to mention the vanity) and got introduced to A.R.Rahman and his brand of humility. Shine on A.R.Rahman. And Thank you for enriching our lives. 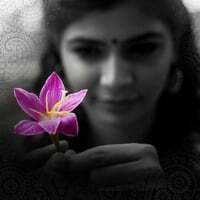 Chinmayi, thank you for opening this small window into the world of one who is so far-reaching and yet so unreachable for the likes of me. We live vicariously (musicariously??) through you. Considering the price you pay (as your Mom clarifies), please know that it is very kind of you, it is deeply appreciated and not wasted on (most of) us. My husband and I were literally crying out of joy for the Genius win! He is god to us. Could you please pass on the message on behalf of all of us that we love him and will always pray for his success. Oh and regarding Bharat Ratna...I think no one is more deserving. He has single handedly achieved what no politician or leader has for this country, which is - unified the youth. This, aside from his contribution to the music industry which is - ending the painful mediocrity stemming out of complacence and long held monopolies hitherto. Opening up the floodgates to the immense talent hidden in millions of hopefuls and kindling the love for music in young and old alike. The bar has been set so high and so forward in quality and effort, that even mundane music directors have dusted themselves off and become inspired. Best of all no one gives a hoot about caging him under a label of language, religion, creed and other such useless things. God bless you in the new year and all your heart's desire come true. Kudos to Rahman who has breathed fresh air in the Music world at larage after Mr. MS and Mr IR. Happy New Year from Toronto. ARR made us all proud. This is just the beginning. May God bless him to achieve more and more. The Western World is now blessed to enjoy our Chennai Genius' music. "A R Rahmanji, my most favorite music director has won the Golden globes and am looking forward to his winning the Oscar"
how many pairs of lips would have uttered these words in this day! These are moments when the happinees transcends all barriers and unites a Nation in its feeling of a high sense of oneness! it isn't bad! i mean why not! there is such a sense of healthy happiness associated with this!The triumph of this Man is no less than a fairy tale climax of a high voltage drama! Ha! wait! there lies the trick! Jus when i mention the word CLIMAX, i hear MASAKALLI from DELHI 6, and i jump like a child having seen a candy shop! What an ecstasic score! A new game! A new set of cards set out! And the show goes on.. and on.. and on.. I turned my stereo volume high with JAI HO! i knew my English flatmates wud hear it! Ha! thats wat i want! I want to tell them that its My Rahmanji and he has just done this feat! I may not have partied today! But when i walked out, i noticed two things! One. I realised i was smiling and feeling good about myself! Two. My footsteps had had an all new rhythm attached to them! After all, i too, like millions of others, was walking behind this 43-year old man's footprints on the sands of time!! YES!!! Am so mad with happiness as is any rahmaniac! but dont u think , getting the Oscar is the pinnacle of achievement and Bharat Ratna may not be really that important compared to it.... ? AR Rahman deserved it !..A prideful moment for everyone ! AR Rahman deserved it..A prideful moment for everyone ! Am proud that I belong to the place where ARR lives.All the best and congrats ARR. Chinmayi this bharath ratna and all are awarded by our politicians who decides things on various factors other than art/talent.So I dont feel Bharat ratna as a great honoue now a days. it indeed is a very proud moment for India as a whole! This award proved yet another time that he is a genius! Hope to see more from him and also from you! Rahman, you have made us extremely proud. You hit the world with your Taal now is the time to collect the Lagaan! Am so proud to be the Great ARR''s fan! he has the made the whole of india proud! Jai ho! Kamal Hassan once said when asked about him winning an oscar that if he wins it he would like to win it for acting in an English film because Oscars are standards set by Americans and they shouldnt judge our Tamil movies with their standards. ARR is going to do it that way and what an absolute legend. I'm sitting here, on my couch, in my family room, in Canada, wondering why people who think like you have to be half way across the world. Lol. That was an interesting way to start this off. :S I guess this is where I start sounding a little overly involved. Well, don't worry. I'm not a crazy fanatic, just an admiring fan of your personality most importantly and secondly, your amazing achievements. I guess what shines through in both is your versatility. All of this has more to do with the rest of your blog and seeing you on Super Singer than with this blog. I'm already feeling the lack of life without you on the show, and my friends, my mom, and I are definately going to miss you on the show. I've seen you twice here; once at a school hall with the Super Singer Juniors (that was such an amazing day for me :) also because I was literally 1 meter away from Krishnamoorthy and I'd asked my mom to adopt him for my birthday hahaha) and the second time at the Kondattam show, with Krish. I'm so sorry the audience was so dead that day, but then again they'd come to do so many other things and weren't specifically music lovers, so it was expected. I did my share of screaming, singing, and clapping though; you'd know by asking those who had the misfortune of sitting beside me. Lol. Moving on to A.R.R. I watched Slumdog Millionaire a bit before New Year's and I loved it for various reasons. I found it sort of a negative portrayal of India which was annoying but then again it was from a poor child's perspective and wasn't all negative. Rahman's music was amazing but that's no surprise. I remember feeling proud walking out of the theatre, but it was even better when I walked into my home Sunday night and my brother turned on the t.v. and right then A.R.R. walked up to receive his Golden Globe. I was jumping up and down like a child. I was glued to the screen right up until Slumdog Millionaire won the Best Motion Picture. I agree with the person who said that Anil Kapoor was a little bit too tipsy or weird for what would've been expected by someone who has his experience. But Dev, wow, he cried and I just watched. It was so touching and adorable all at once. had also won Six popular Awards for his compositions in 'Slumdog Millionaire'. I nearly cried as they called Maestro Rahman win! He is a beacon for Indians, musicians, & above all a pure human being! All you singers for him must be extra proud! He DEFINITELY should win Bharat Ratna as well! I was wondering when someone would pose that. However, after he acclaims such prestigious international fame it would kind of be pointless. But he deserves it all! And the best part is he doesn't even to realize how Monumental he is! Cheers to A.R. RAHMAN! I was so happy and jumping with joy. And I found it sweet when ARR also included in his speech "I would like to thank the billions of people in Chennai". He was so calm and sweet, lol but I have to agree with someone who commented about Anil Kapoor was just ecstatic lol it looked really funny. They also pronounced his name as "roooo-man" once. tamizhan endru sollada thalai nimirnthu nillada! I LOVE RAHMAN SIR!!!!!! RAHMAN SIR IS THE REAL MAESTRO... THERE ARE NO WORDS TO WISH HIM!!! !